Which of the following levels of ecological organization is arranged in the correct sequence from most to least inclusive? Palm trees and subtropical plants are commonplace in Land's End, England, whose latitude is the equivalent of Labrador in coastal Canada where the local flora is subarctic. Which statement best explains why this apparent anomaly exists between North America and Europe? A) Labrador does not get enough rainfall to support the subtropical flora found in Land's End. B) Warm ocean currents interact with England, whereas cold ocean currents interact with Labrador. C) Rainfall fluctuates greatly in England; rainfall is consistently high in Labrador. D) Labrador is too windy to support tall plants, such as palm trees. E) Labrador receives sunlight of lower duration and intensity than does Land's End. A) there is more ice at the poles. B) sunlight strikes the poles at a lower angle. C) the poles are farther from the sun. D) the polar atmosphere is thinner and contains fewer greenhouse gases. E) the poles are permanently tilted away from the sun. Which of the following environmental features might influence microclimates? E) All of the options are correct. The growing season would generally be shortest in which of the following biomes? An ecologist recorded 12 white-tailed deer, Odocoileus virginianus, per square mile in one woodlot and 20 per square mile in another woodlot. What was the ecologist comparing? 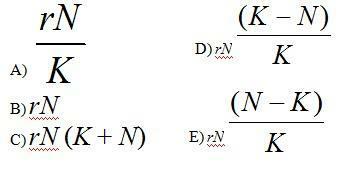 Which of the following groups would be most likely to exhibit uniform dispersion? A) seldom reached by marine producers and consumers because of the vast resources of the ocean. B) the maximum population size that a particular environment can support. C) fixed for most species over most of their range most of the time. D) determined by density and dispersion data. E) the term used to describe the stress a population undergoes due to limited resources. Which of the following is characteristic of K-selected populations? Which curve best describes survivorship in marine molluscs? Which curve best describes survivorship in humans who live in developed nations? Which population(s) is (are) in the process of decreasing? Which population(s) appear(s) to be stable? Assuming these age-structure diagrams describe human populations, in which population is unemployment likely to be a societal issue in the future? D) No differences in the magnitude of future unemployment would be expected among these populations. E) It is not possible to infer anything about future social conditions from age-structure diagrams. Assuming these age-structure diagrams describe human populations, which population(s) is (are) likely to experience zero population growth (ZPG)? A) may change as environmental conditions change. B) can be accurately calculated using the logistic growth model. C) generally remains constant over time. D) increases as the per capita growth rate (r) decreases. E) can never be exceeded. A) the number of individuals added per unit time is greatest when N is close to zero. B) the per capita growth rate (r) increases as N approaches K.
C) population growth is zero when N equals K.
D) the population grows exponentially when K is small. E) the birth rate (b) approaches zero as N approaches K.
A) grows by thousands of individuals. B) grows at its maximum per capita rate. C) quickly reaches its carrying capacity. E) loses some individuals to emigration. Which of the following statements about human population in industrialized countries is incorrect? A) Life history is r-selected. B) Average family size is relatively small. C) The population has undergone the demographic transition. 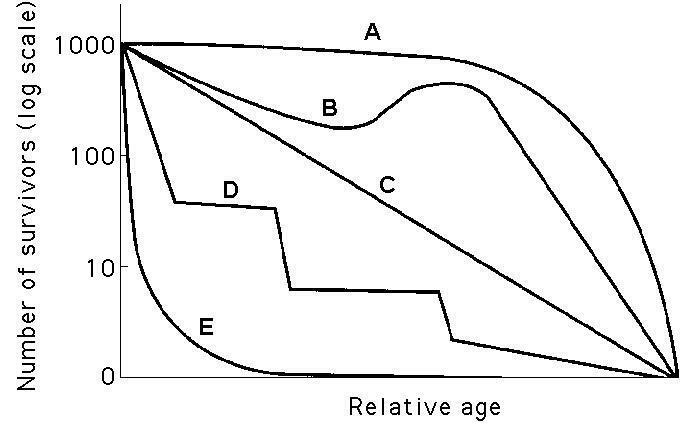 D) The survivorship curve is Type I.
E) Age distribution is relatively uniform. Which of the following is an example of Batesian mimicry? Dwarf mistletoes are flowering plants that grow on certain forest trees. They obtain nutrients and water from the vascular tissues of the trees. The trees derive no known benefits from the dwarf mistletoes. Which of the following best describes the interactions between dwarf mistletoes and trees? Which of the following terms is used by ecologists to describe the community interaction where one organism makes the environment more suitable for another organism? Which of the following is the most accepted hypothesis as to why invasive species take over communities into which they have been introduced? Which letter represents an organism that could be a carnivore? Which letter represents an organism that could be a primary consumer? Which statement best contrasts environmentalism with ecology? A) Ecologists study organisms in environments that have been undisturbed by human activities; environmentalists study the effects of human activities on organisms. B) Ecology is the study of the environment; environmentalism is the study of ecology. C) Ecology provides scientific understanding of current living things and their environment; environmentalism is mainly about conservation and preservation of life on Earth. D) Environmentalists are only involved in politics and advocating for protecting nature; ecologists are only involved in scientific investigations of the environment. E) Environmentalism is devoted to applied ecological science; ecology is concerned with basic/theoretical ecological science. Where would an ecologist find the most phytoplankton in a lake? which type of biome would most likely occur in a climate with mild, rainy winters and hot, dry summers with an ofter fires? Which of the following is a prime cause of Earth's seasons? A) reduction in death rate. A) life expectancy of individuals within a population. B) the vital statistics of populations and how they change over time. C) reproductive rates of a population during a given year. D) death and emigration rates of a population at any moment in time. E) the survival patterns of a population. Which of the following is the pattern of spacing for individuals within the boundaries of the population? Which of the following types of species interaction is correctly paired with its effects on the density of the two interacting populations? A) complexity of the food web. B) total number of all organisms. 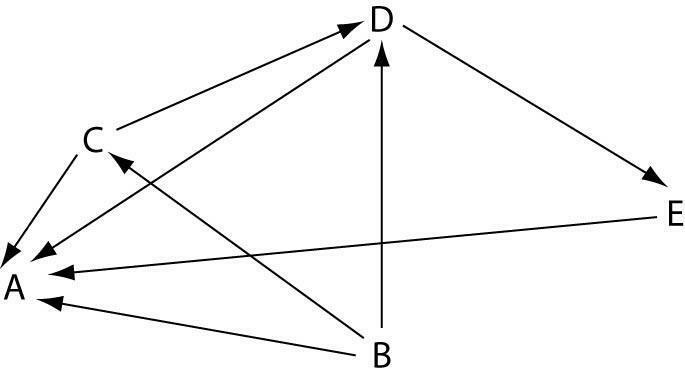 C) the bottom-heavy shape of the energy pyramid. D) relative numbers of individuals in each species. E) number of different species. A) the best competitor in the community. B) the best predator in the community. C) the species that contributes the most biomass to the community. D) characterized by very large individuals with long lives. E) the most energetically efficient species in the community. Which of the following describes the relationship between ants and acacia trees? If global warming continues at its present rate, which biomes will likely take the place of the coniferous forest (taiga)? Which marine zone would have the lowest rates of primary productivity (photosynthesis)?